Designed by Jan Linge in 1965, the Soling won a design competition to develop a new Olympic class to replace the Dragon. It was the Olympic 3 man keelboat from 1972 until her final appearance at the 2000 Olympics. 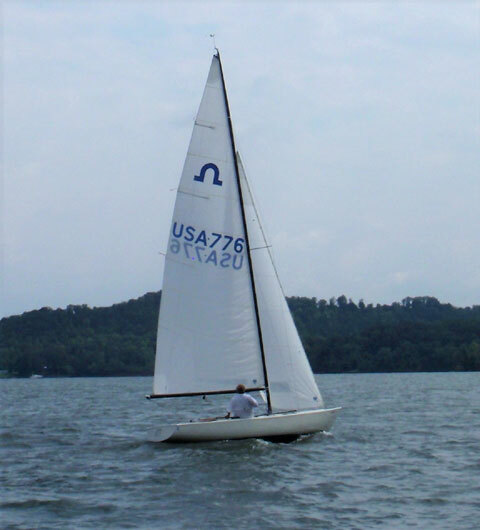 The Soling's lively performance makes it an excellent teaching boat. It's responsive enough to provide instant feedback, but stable enough to avoid getting wet. Experienced sailors will enjoy the Soling's outstanding upwind performance and extensive sail and rig controls. 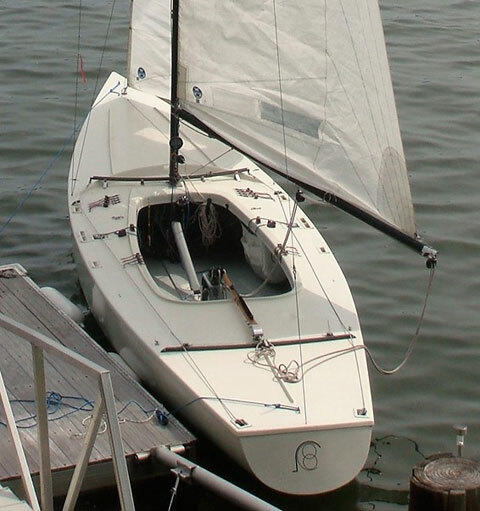 Perfect for sailing single handed or with inexperienced crew. Made in 1978 #776. Hull & deck are White and in very good condition, floor is solid Gray. Built in accordance with the measurement rules issued by the International Soling class. Made by Abbott Boats Ltd in Canada and has a super solid hull, deck and mast step. This boat has a full cockpit deck unlike some of the early Solings. 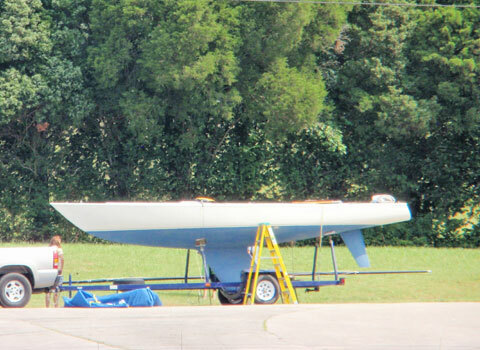 1st… set of Main, jib and blue/white reaching spinnaker Made by North Sails. 2nd.. set of Main and jib sails, Silver tape drive made by Ukhaley.com in Texas. All dynamic sail controls fully functioning, including gross and fine backstay controls and head stay controls, and inner and outer shroud adjustment controls. 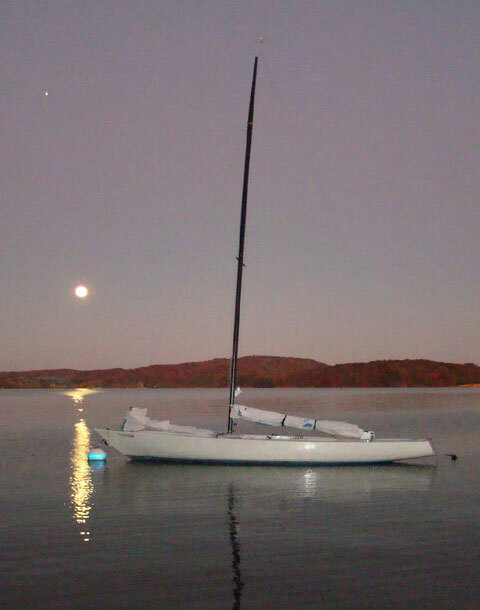 Fixed keel, Proctor tapered spinnaker pole and a paddle are included. Both traveler cars are Harken recirculating ball type. Good single axle trailer and tires, front and rear jacks and two storage boxes for ALL sails and gear. Made by Harken. Full blue canvas cover for when boat is in the dry. Mast mounted compass, Anchor, 2 bumpers, Solar bilge pump, Whisker pole, etc. has NOT been back in water since finished, the work was done by Absolute Boats who is a competitive sailor. Older drop hiking harnesses included.